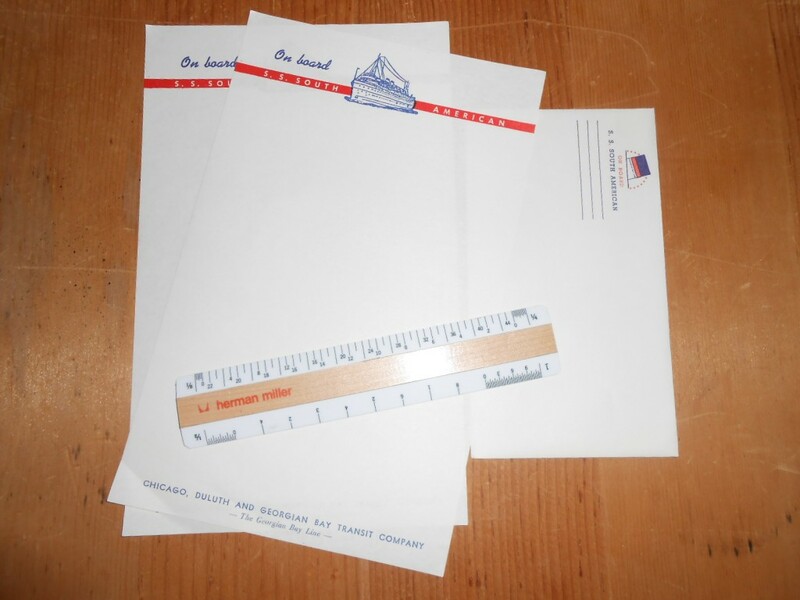 Two great little writing sheets and one envelope from onboard the SS South American. These South spent the better part of the 20th century cruising the great lakes before being retired in the mid 60's. Oh .. the lost and romantic art of writing letters! In good shape .. though need to be pressed to clean up the minor edge bumps.